Universal Multi Rack is an excellent lab rack compatible with different sizes of tubes. Four sides of this rack can be used for tube of 30mm, 20 mm, 17mm & 12mm. 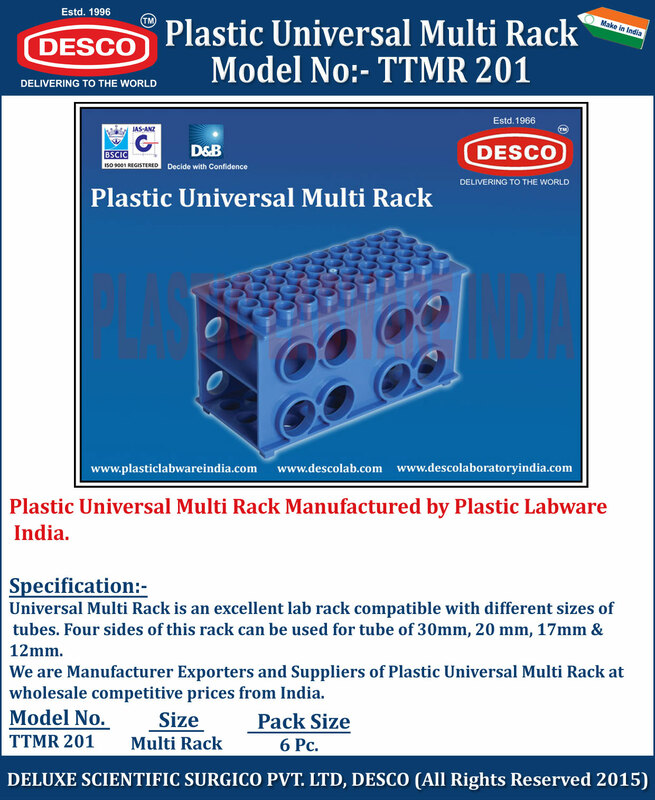 We are Manufacturer Exporters and Suppliers of Plastic Universal Multi Rack at wholesale competitive prices from India. TTMR 201 Multi Rack 6 Pc.